Shredsec’s off site shredding service provides you with the convenience of having your confidential waste collected when you want but without the need for a shredding vehicle to process it on site. When we shred off site, our friendly shredding operatives collect your confidential waste and deliver it to our shredding centre for processing. Many organisations prefer this service to on-site mobile shredding because they do not have sufficient space for our shredding vehicle and they do not feel they need to witness their material being destroyed. Shredsec’s off site shredding service is designed to provide you with a simple alternative to on site shredding. Your material is still processed with the same high level of security that applies to all Shredsec’s document shredding work and your organisation can enjoy a complete ‘bin-to-bale’ solution: you bin your confidential papers and we shred them and bale them for recycling. The charges for offsite shredding are lower than for onsite shredding. But you still enjoy the same rigorous levels of security. An off-site shredding service is often the easiest solution for many organisations because it simply involves a collection of your material from your premises at an agreed time. That’s it! 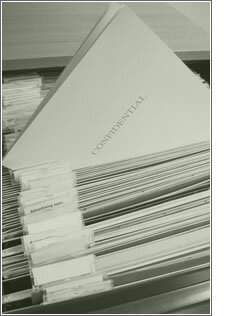 Shredsec’s service complies with British Standard BS EN15713 Secure Destruction of Confidential Material so you can be assured of the highest security levels whether you need daily or weekly collections, or one-off clear-outs. Shredsec’s customers all receive a Certificate of Destruction for any materials destroyed offsite so that they can prove they have complied with the Data Protection Act. To ensure the security of your material is maintained at every stage of the document destruction process. To provide you with the highest levels of satisfaction with our service. Copyright © 2012, Shredsec Ltd. All rights reserved.